Humanistic Management & Technology: Musings on using technology to help ourselves to be more human. 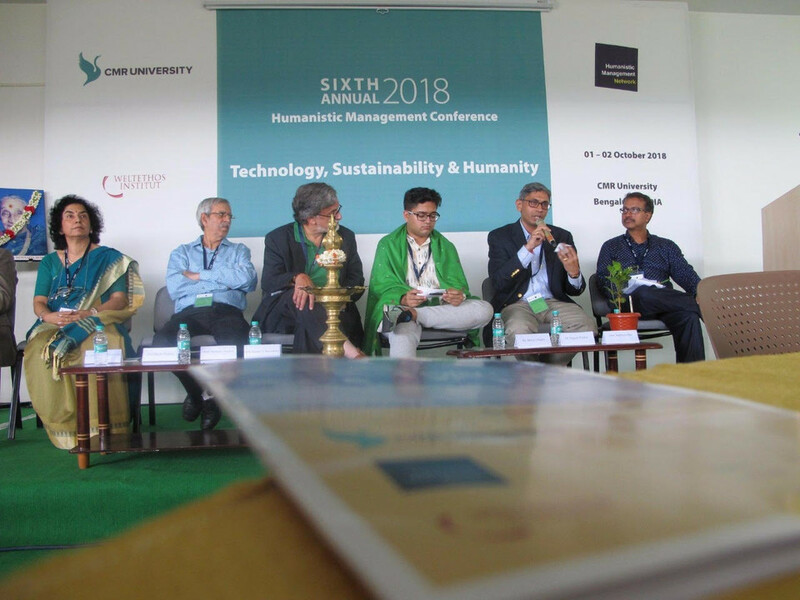 Thoughts by Yogesh Potdar on his participation in the 6th Annual International Conference on Humanistic Management held first time in India at CMR University, Bengaluru organized by the Humanistic Management Network and sponsored by CMR University and the Weltethos Institute. “I was invited to be on a panel to discuss “Making productive use of Technology for a Humanistic Management Paradigm” ( https://www.hmnc2018.org/ ). For the purpose of preparation, I looked through the charter and mission of the organization. I tried to arrange my thoughts on this subject in the three pillars that the organization has clearly articulated: (1) Respect for Human Dignity (2) Integration of ethical reflection in management decisions (3) Active and ongoing engagement with Stakeholders – where the word stakeholders has a much broader meaning than how it is commonly used. A term of triple bottom line comes close to the intent of this particular aspect. Please note that the Humanistic Management Network is a separate and independent organization from IHMA. It is not a part of the International Humanistic Management Association (IHMA) and IHMA, as an organization did not participate in or contribute to this conference. It is the policy of the IHMA is to amplify work that promote humanistic approaches to business, management and leadership. It is in that spirit that this link is being shared.